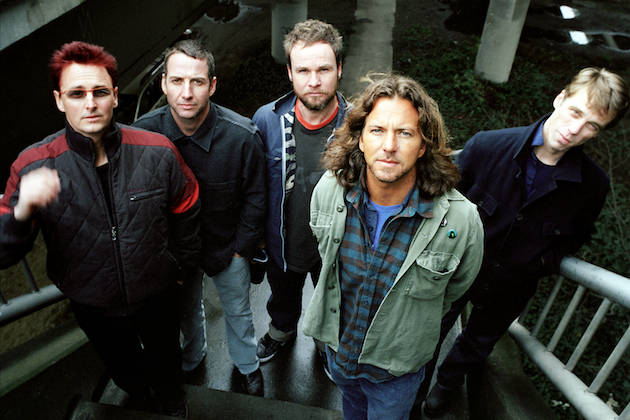 While most of the focus has been on if Pearl Jam will release their new album in 2013 or 2014, the attention is now shifting to when we might hear the first taste of new music from the band. According to an AllAccess.com posting that has since been removed, Pearl Jam is alleged to be targeting a July 16 premiere for a new song. GrungeReport.net initially spotted the posting, which listed a track called ‘Mind Your Manners’ on the schedule for a July 16 debut. This would be the band’s first music since their support of the 2009 album ‘Backspacer’ concluded in 2011.